The term ‘equilibrium’ has often to be used in economic analysis. In fact. 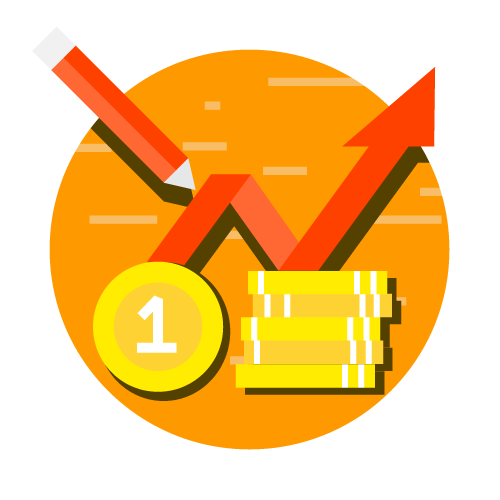 Modern Economics is sometimes called equilibrium analysis. Equilibrium means a state of baobab. When forces acting in opposite directions arc exactly equal. the object on which they arc act~ is said to be ill a state of equine sum. Tic a cord to a piece of stone and dangle it in the air. After oscillating fruit side to side. the stone will come to rest. if no further disturbance is caused. The stone is then in a state of equilibrium. There is stable equilibrium. when the object concerned, lifter having disturbed, tends to resume its original position. Thus, in the case of a stable equilibrium, there is a tendency for the object to revert to the old poison. Thus, in the case of a neutral equilibrium. the object assumes once-for-all a new position after the original position is disturbed. A stable gullibility value is an equilibrium value that, if changed by a small amount, calls into action forces that will tend to reproduce the old value; a neutral equilibrium value is an equilibrium value, that does not know any such forces; an unstable equilibrium value is an equilibrium value, change in which calls forth forces which tend to move the system farther and farther away Boru the equilibrium value. Of these types, ~he stable equilibrium is the one most commonly used in economic analysis. Dr. Marshall made a very extensive use of it in discussion on the determination of value. The figure below illustrates the three types of equilibrium viz … stable, unstable and neutral. Part (A) of rig shows a ball resting at the bottom of the bowl. This is a case of stable equilibrium because the ball tends to come back to its original position when disturbed. Part (13) depicts a ball at the top of 111 inverted bowl, which is a case of unstable milliliter, since the ball will not return to its original position, if disturbed. Part (C) shows a ball lying on the ground: This is a case of neutral equilibrium, because the I does not regain the same old position but obtains w equilibrium position, where it comes to rest. 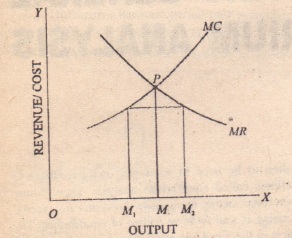 These three types types of equilibrium can also be illustrated by making use of the marginal revenue and marginal cost curves. The represents stable equilibrium at the point P, where MR Illustrate the case 01″ unstable equilibrium. Initially. the .producer is in equilibrium at Point P, where MR = MC and he is producing amount OM of output and maximizing hi~ profits. If now he increases his output to he would be in equilibrium output at where he will obtain higher profits. because, at this output. 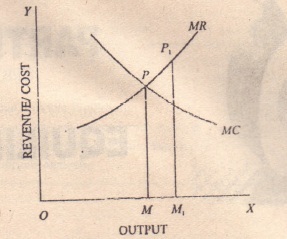 marginal revenue is greater than marginal cost. Thus. there is nil tendency to return to the original position. In this case. MR = Me at all levels 01 output so that the producer has nu tendency to return to the old position and every time a new equilibrium point i. obtained. whieh is as good as the initial one. Equilibrium may be short-term equilibrium ()1 long term equilib ease of sh<Jrt-tenn and long term value. In the short-term equilibrium. supply is adju tcd to change in demand with the equipment or means of production, there being no time available to increase or decrease the factors of production. In the ease of long-term equilibrium. however, there is an ample time to change even the equipment or the factors of production themselves. That is. a new factory can be erected or new machinery installed,Me. 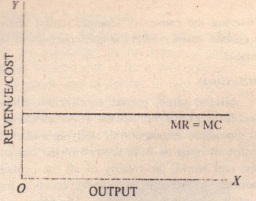 When in equilibrium at P, the producer produces an output OM and maximizes his profits. In case the producer increases his output to Color decreases the size of his profits is reduced, This automatically brings in forces that tend to establish equilibrium again.